WHY OZONE - OZONE SAFE FOOD TECHNOLOGIES, INC. The potential utility of ozone in the FOOD & BEVERAGE industry depends on the fact that as an oxidizing agent, it is 1.5 times stronger than chlorine and is effective over a much wider spectrum of microorganisms than chlorine and other disinfectants. Ozone kills bacteria such as Escherichia coli, Listeria, and other food pathogens much faster than traditionally used disinfectants, such as chlorine, and is free of chemical residues. Ozone is a high-energy molecule. Its half life in water at room temperature is only 20 minutes, and it decomposes into simple oxygen with no safety concerns about consumption of residual ozone in the treated food product. It can also be used for recycling water. 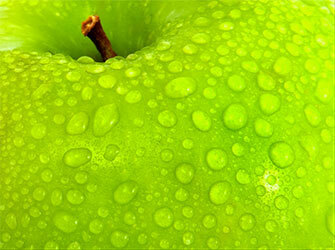 For decades, it has been known that ozone is an effective disinfectant and sanitizer for the treatment of food product. It is commonly used in Europe for treatment of public water systems and food processing. It is being used in the U.S. for bottled water and many food and other beverage processing applications. The benefits of ozone applications in the food industry have been confirmed. Thus, ozone can successfully replace traditional sanitizing agents to control food pathogens. Additionally, when Fresh food is washed first by ozonated water, then the wash water can be recaptured and treated by a combination of ozonation and filtration. The treated wash water is free of bacteria, color, and suspended solids and can be recycled to reduce water usage. Unlike conventional chlorine-based washing systems, wastewater discharged by an ozonation process is free of chemical residues, a growing concern related to the environment and groundwater pollution. Ozone can also destroy pesticides and chemical residues, such as chlorinated by-products. Gaseous ozone is a strong sanitation and fumigation agent and can be used to sanitize foods in the storage room and during shipping to prevent bacteria, mold, and yeast on the food surface and to control insects. It can eliminate undesirable flavor produced by bacteria and chemically remove ethylene gas to slow down the ripening process, thus allowing extended distribution.